Experiential marketing, done right, is about so much more than just showing up. It’s about understanding what your audience is looking for—not who they are on paper. What deep, emotional needs do they bring to an event? What do they want to get out of it? What memories do they want to take home? Why are they there? From the runway to the rodeo, we had real conversations with 2,000+ experience seekers at live events across North America to unearth the driving factors for consumers’ actions—and how brands can help meet those needs. 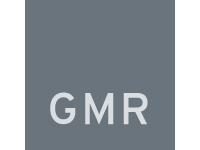 GMR Marketing’s latest research Experiential EQ: Going Beyond Data to Understand the Power of Emotions in Experiential Marketing introduces an entirely new framework for understanding human emotion in the experiential space, and a better way for brands to create a connection that lasts.